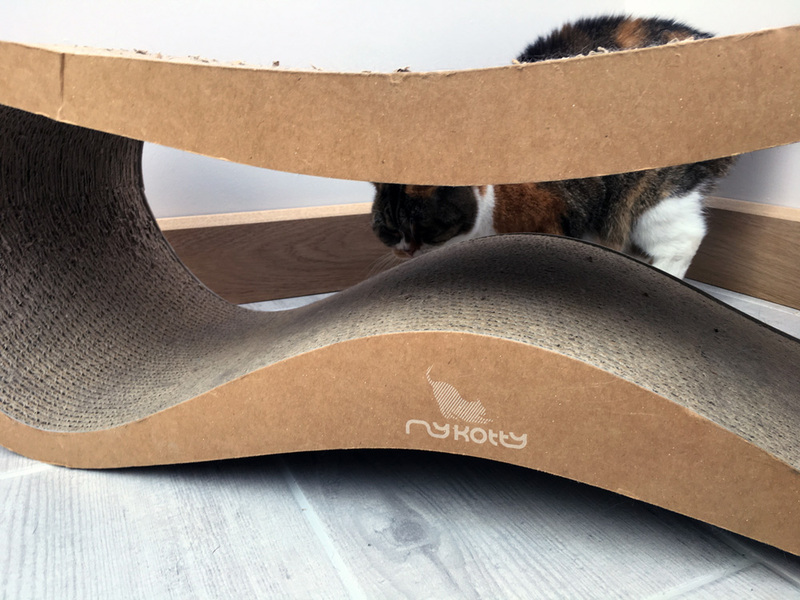 MyKotty is one of my favourite modern cat furniture brands. 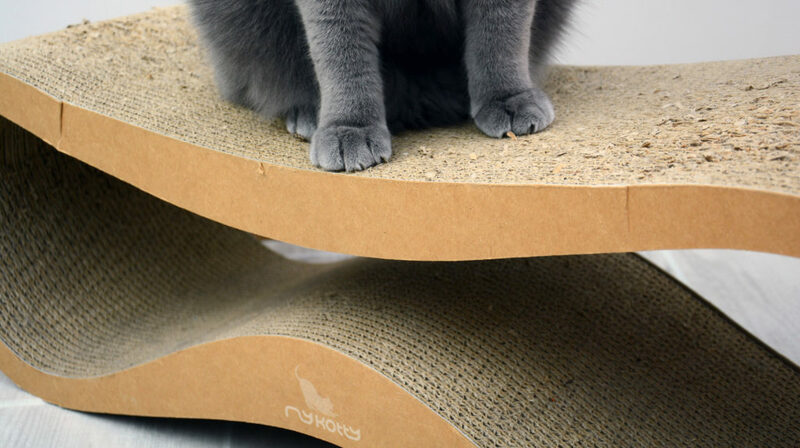 Based in Poland, these guys create handmade cat furniture that really wouldn’t look out of place in a design museum. The products they produce are extremely well designed and constructed to the highest standards. 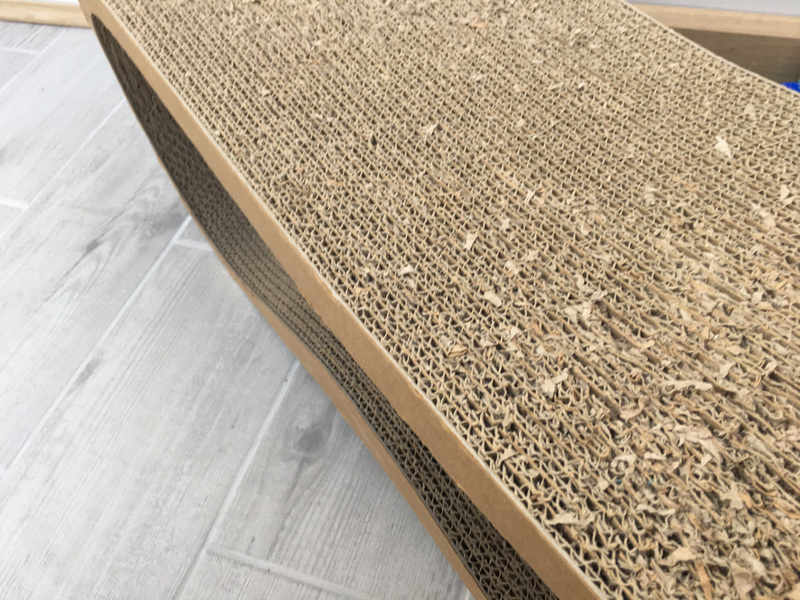 LUI is part of their cat scratcher range. It is a piece of multifunctional furniture for cats. The LUI is wonderfully multifunctional. 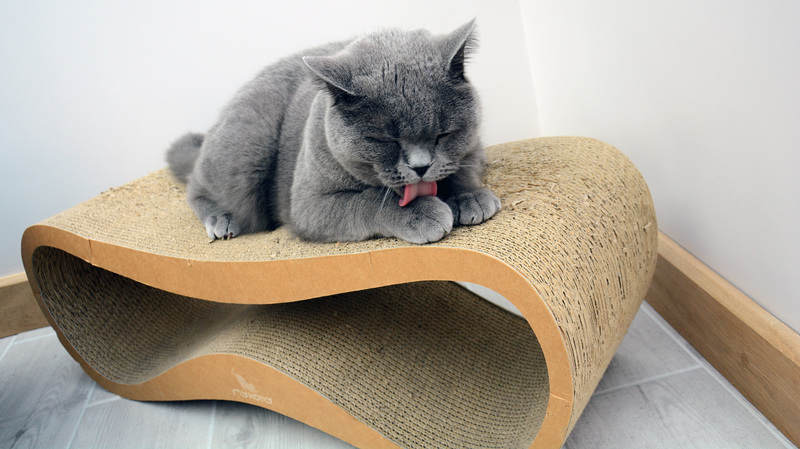 It is intended mainly as a scratcher, but as the product description rightly points out, it is in fact very versatile. My cats use it for both play and sleep. The inner part of the LUI creates a fun hideaway for cats to stalk and hide their toys. If you have a multi-cat household lots of fun can be had with a bit of hide and seek. The LUI is durable, and after having mine around 12 months, it’s still in excellent health. It is not as strong as the VIGO and is now starting to show signs of strain on the sides when my large male cat jumps on it. It is slightly more fragile than the VIGO so if you have large cats over 4-5kg then the VIGO maybe a better option for you. I chose the brown colour option, and it goes well with my oak wooden floor. The item is quite large and does take up quite a bit of space, so it needs an average size room ideally. Overall I would 100% recommend this product to any cat owner. The price is a reflection of its quality and advanced design. It has outlasted even the most expensive high street scratch posts. I bought my LUI from a UK supplier, but I have bought other MyKotty products direct from their website with no issues. Buy your LUI online today direct from MyKotty.